Product prices and availability are accurate as of 2019-04-07 11:08:56 EDT and are subject to change. Any price and availability information displayed on http://www.amazon.com/ at the time of purchase will apply to the purchase of this product. This wet/dry vacuum accessory, pumps out water at 10 gallons per minute and up to 40-feet high. 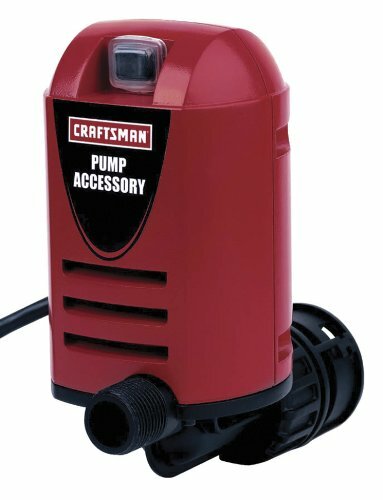 The Pump Out is the perfect accessory for quickly removing unwanted water from your Craftsman Wet/Dry Vacuum.